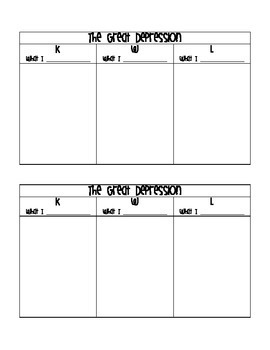 A KWL (know, want to know/wonder, learned) chart for the Great Depression. I use this prior to reading books set during this time period with my students, but could be used in a variety of contexts. I have students glue them into their notebooks for safe-keeping. Enjoy!